The number of people who suggested features that are already available in the recent user survey highlights the need for a FAQ section on the main site that covers how to do things that are buried in the interface, or not obvious. I'd like your help in compiling what should be included. I'll start off with my list, please let me know if I've missed anything. Share my owned and wanted minifigs. Nobody else have any suggestions? Do you all know how to use every aspect of the site? I think the problem for regular users is remembering what was once difficult. make a Bricklist/what is a bircklist? submit a photo of a set missing from the database? - I assume you've thought to put a "Can't find an answer? Send us your question." type button which will probably yield more results. Also I know there is the occasional question about forum sign up not working, when people assume that the forum and main site use the same login, might be worth covering. 'How do I use the advanced query builder?' - in my experience, although I found my way around it, it's definitely not the easiest thing to use. Heck, I can't even find how to access it anymore - 'my queries' leads to a list of ones I've previously saved, and 'new query' leads to a blank page which only really duplicates the various 'browse' links. Argghhh! Create a new query » at the top. Some questions that I have/used to have, some of these are maybe a bit silly or it would be mayhem if the answer would be yes to some of them, but they are actual questions that came up. - How do I export the info on my own flags in CVS? - How do I make a list of what I've got to trade (it says when you make a bricklist you have to use the appropriate features on the site for that, and making a list of wanted/owned has been covered but this one not). - How do I share the info on a query (so not the query itself but the info it makes). - If I sync data with rebrickable (or other) does it sync it once or does it keep syncing? - How do I send you good enough quality pictures (e.g. when you look at a set and it says you have not got good enough pictures, what would be good enough). - Can I change the birck-count/bricks in a set? - Are the extra bricks included in the brick-count? Like Shib said, it's difficult to think of questions that you used to have :) If I think of some more I'll come back and post them. I know you are looking for main site questions, but as for this forum, is there a way I can search just forum titles and not include all the individual comments? Part of the problem is "I don't know what I don't know." For example: 'make the background of the page darker'. It would never have occurred to me to ask how to do that, as I simply didn't know it was an option! I like the idea of having an FAQ (preferably with an extraordinarily detailed index, because no two people will come at the same problem from the same direction). 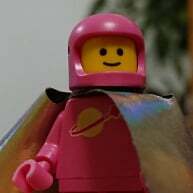 You almost want a Brickset Wiki, where we can all edit an online, living document that would become the ultimate guide to how Brickset works. Might get quite large, quite quickly. How do I add my own flags to ACM data?